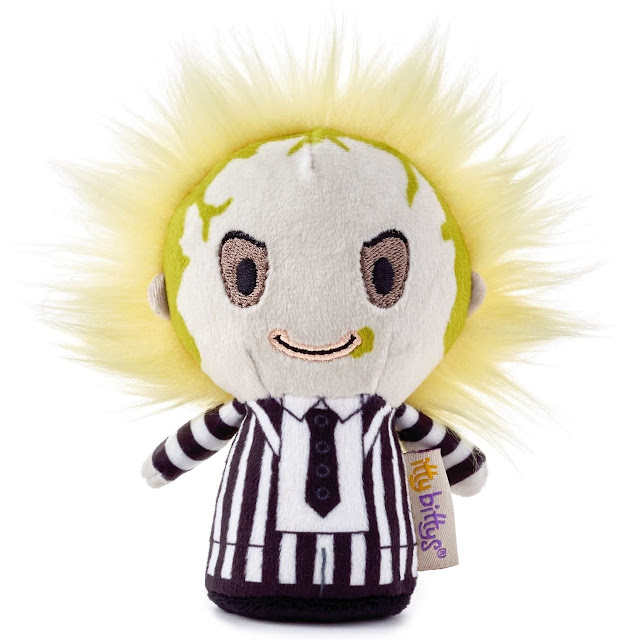 I'm really surprised that Hallmark would create this Beetlejuice plush toy! It's adorable, but I wouldn't expect Hallmark to put their name on something based on a ghost and a dark, twisted movie! The best part about this toy is it costs less than $10! Small enough to fit into your backpack or messenger bag, or perch on your desk to keep you company throughout your workday! You can also purchase the Beetlejuice Itty Bitty plush toy on eBay.